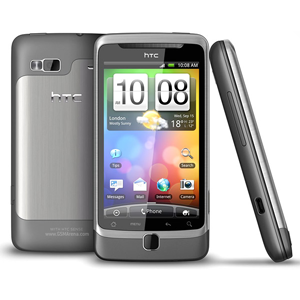 The Desire Z is a smartphone developed by HTC. In the US, the Desire Z is known as the T-Mobile G2. The Desire Z has a full QWERTY sliding keyboard. One new feature for Desire Z is HTC's new fast boot. The Desire Z does not have the traditional power off of previous phones, but will instead go into a hibernation mode. This allows the phone to power on in 5 seconds or less. The Desire Z has an aluminum case, giving the phone some additional weight compared to other Android phones. The rear camera is capable of recording video in resolutions as high as 720p.